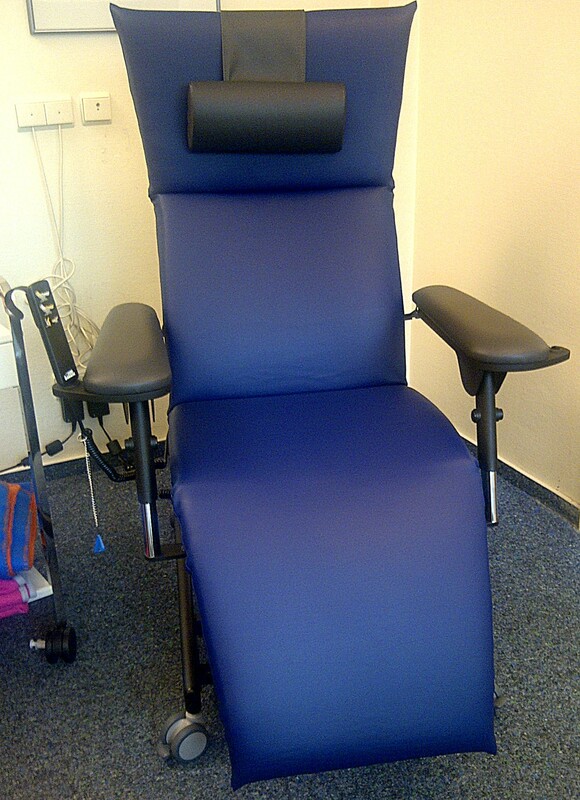 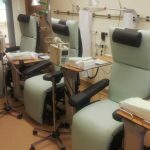 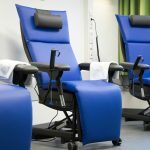 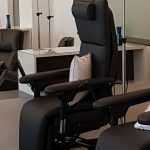 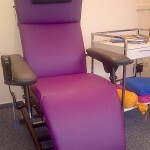 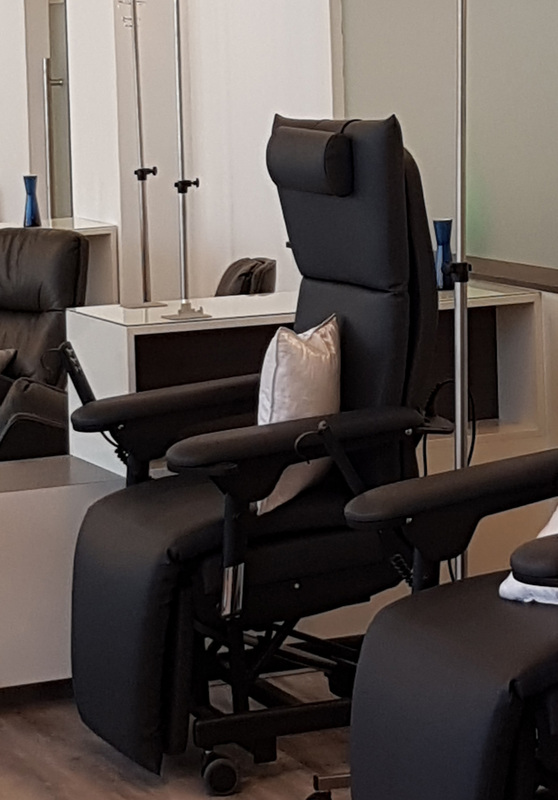 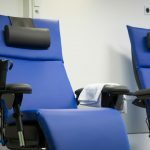 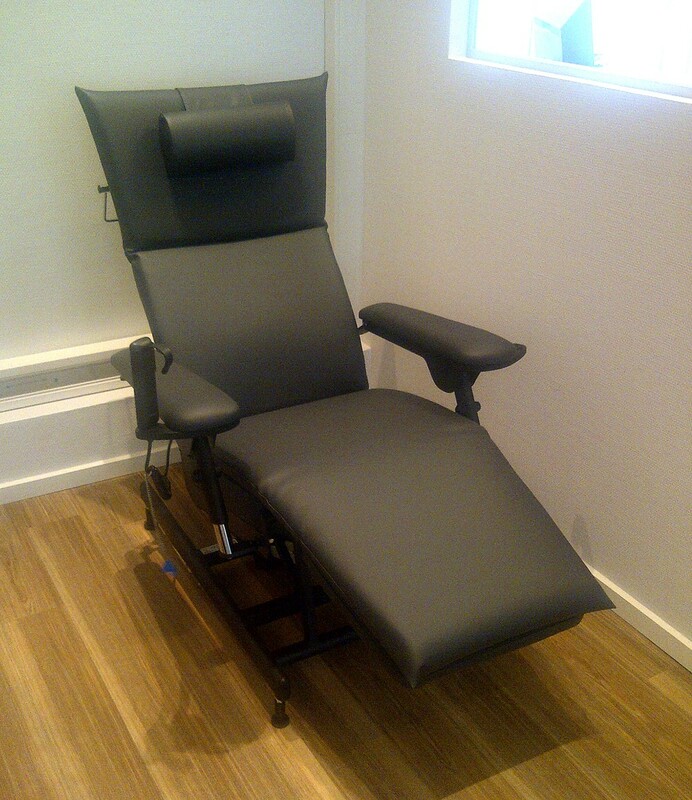 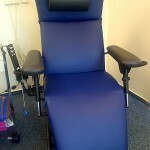 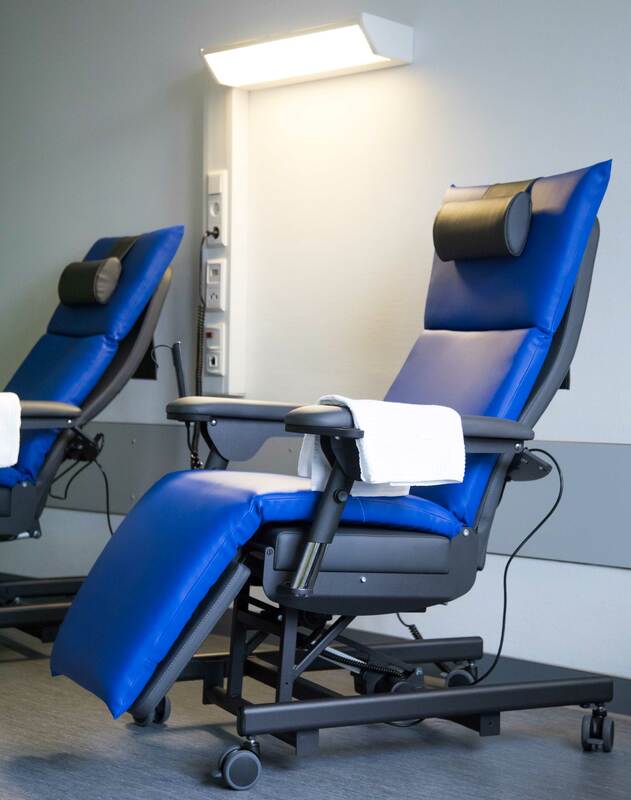 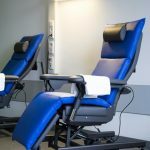 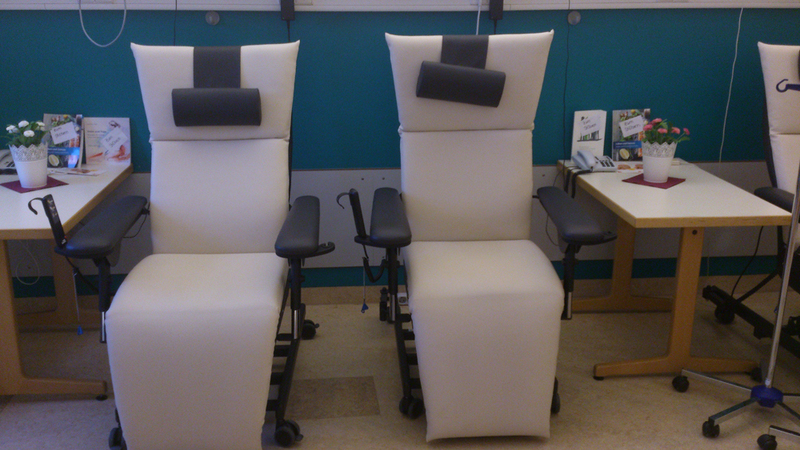 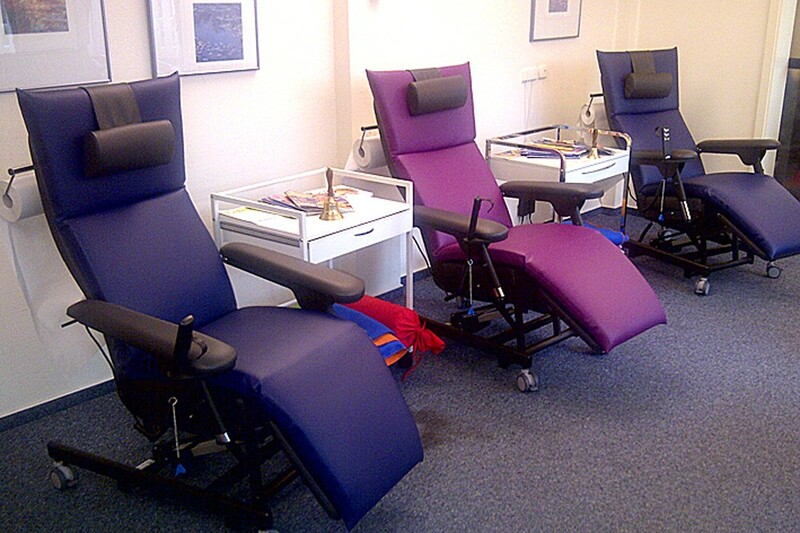 The SlimLine Therapy Chair has been developed for the needs in your Oncology Clinic and the Infusion Therapies. 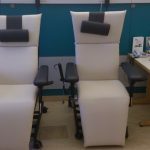 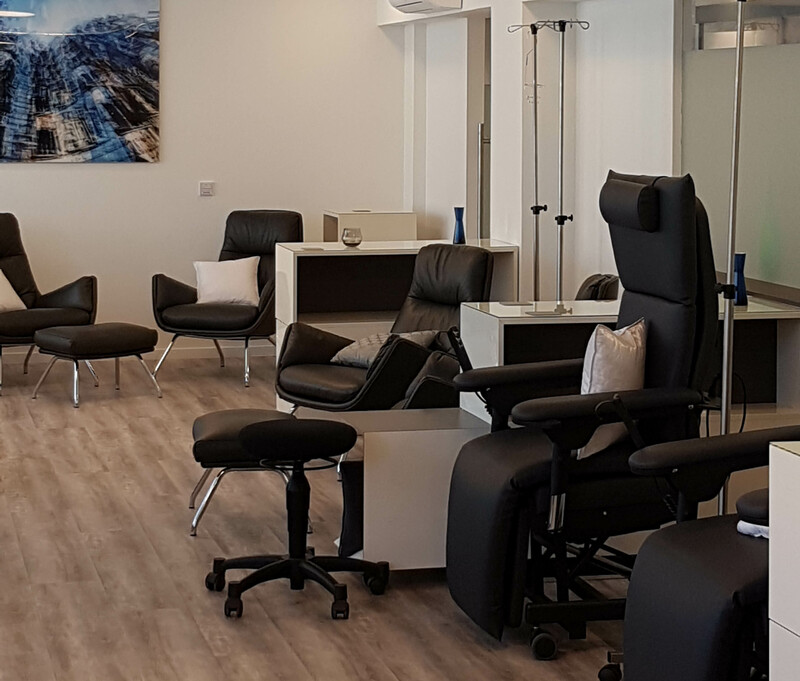 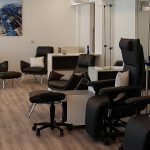 Also in small rooms the slim and light Therapy Chair offers with its two motors the necessary flexibility and highest comfort to guarantee your patients a pleasant treatment. Simple entry and exit from the chair’s front because of low seat level and rectangular adjustable leg segment. 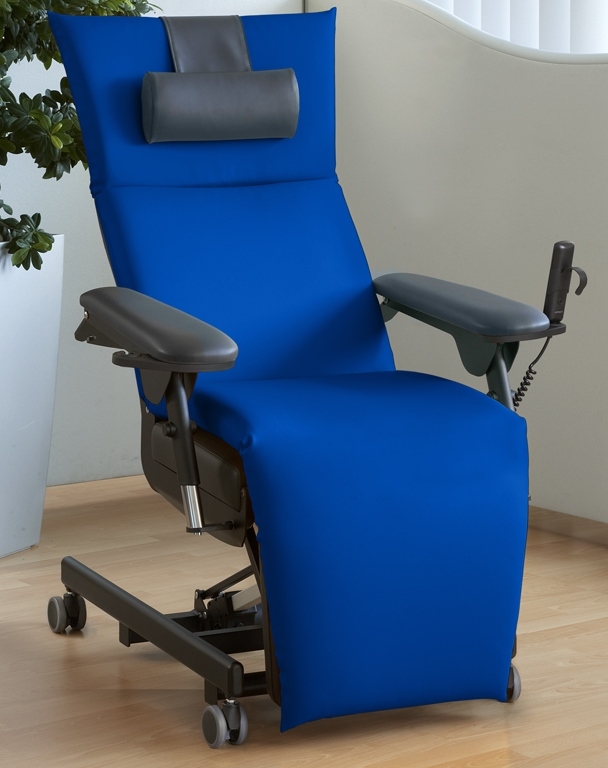 Unique base upholstery and ergonomically shaped back segment guarantee the very high comfort. 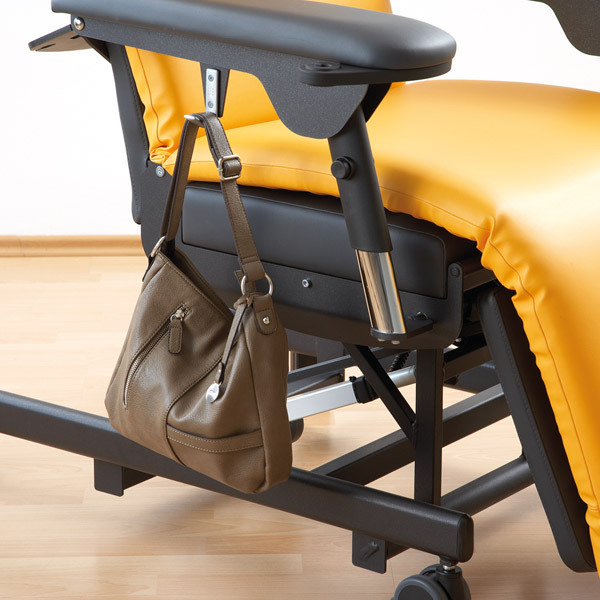 Stable base frame with low required space offers highest stability in all chair positions. 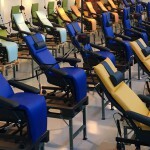 The removable and easy to clean mattress is available in more than 30 colours and offers together with the unique base upholstery highest sitting comfort. 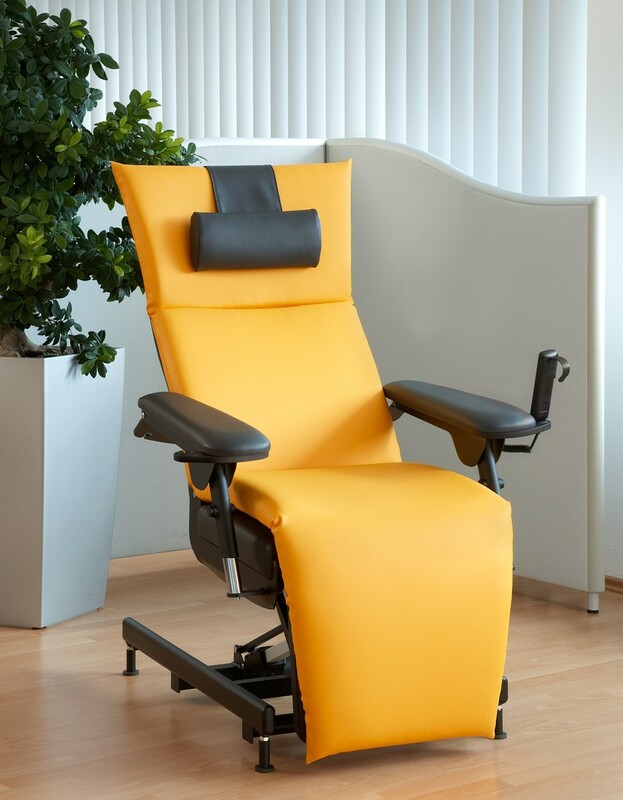 Additionally, the ergonomically shaped back segment allow a comfortable and relaxed position also during long term treatments. 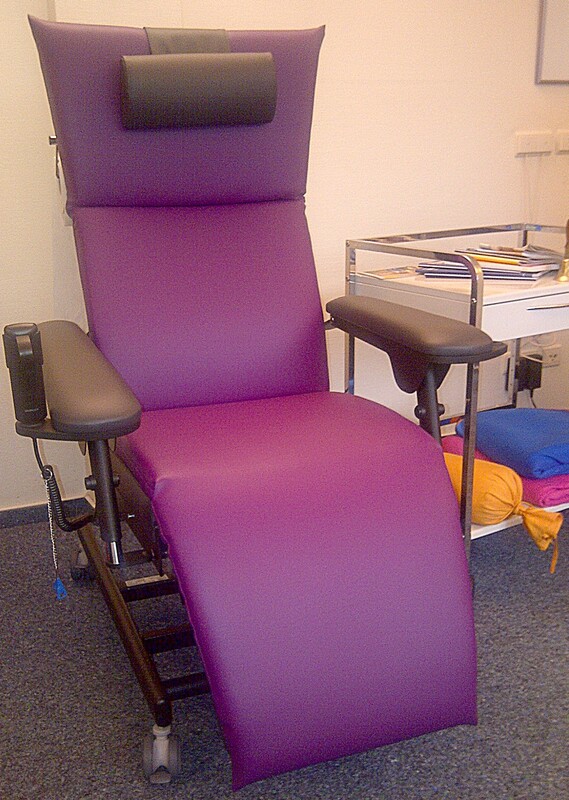 For more information please download the PDF brochure with all information via the button on the side. 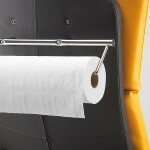 The armrest can be lowered fast and easily by pushing a button and offer on both sides a practical holder for the user-friendly remote control. 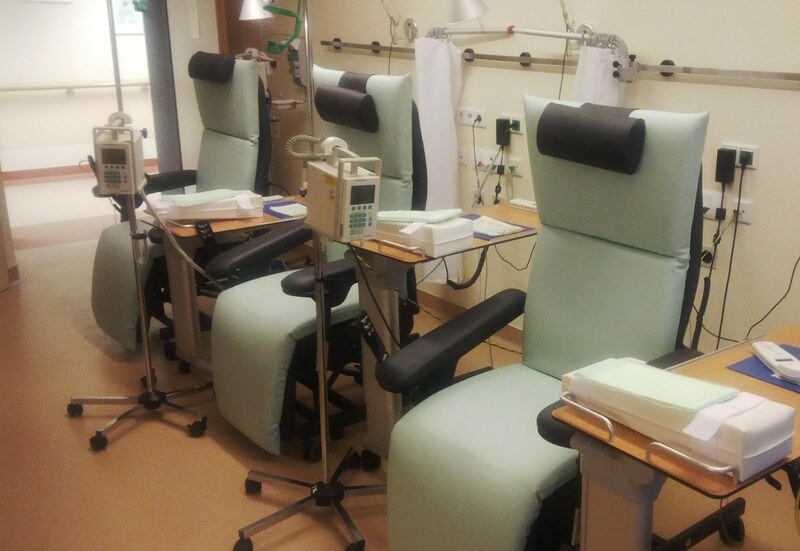 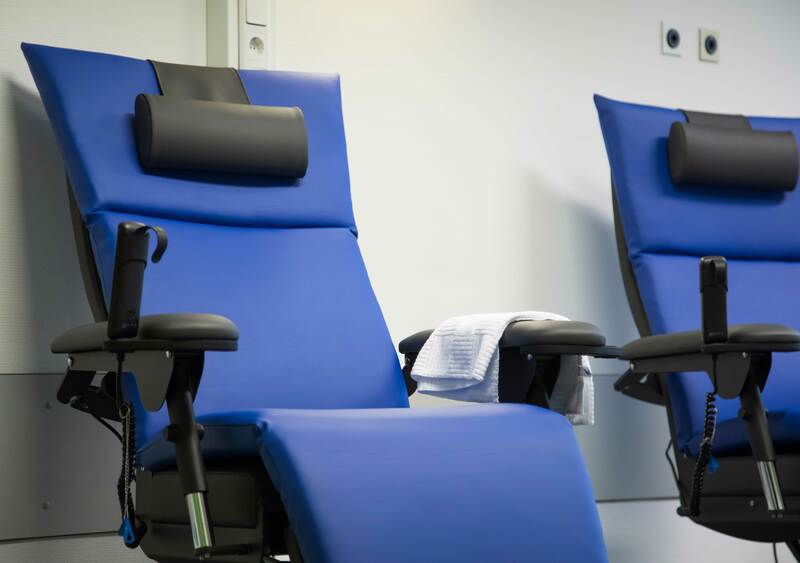 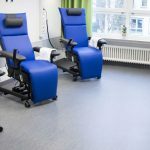 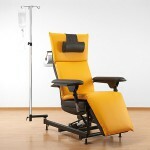 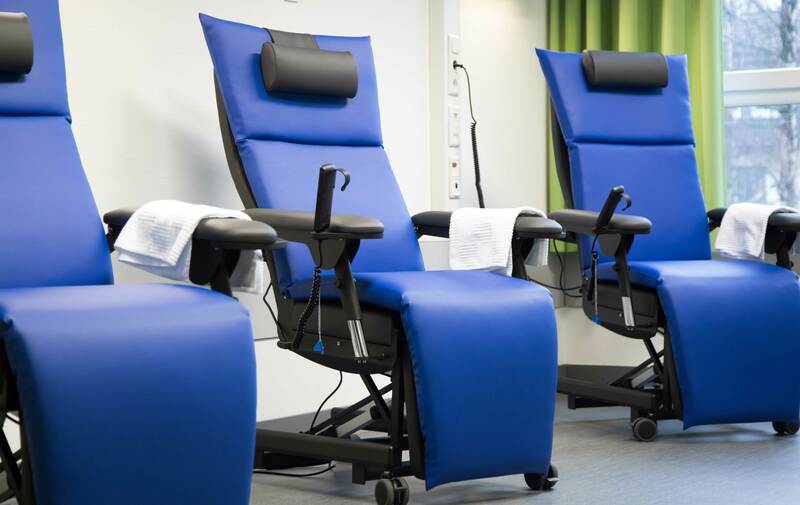 Various accessories, such as IV-pole, paper roll holder or reading lamp, allow an adaption of the SlimLine Oncology Chair on your individual needs. The IV-pole can be mounted space-saving on the left or right side of the base frame. 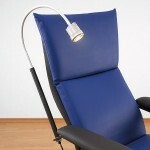 The practical reading lamp offers additional light for your patients, e.g. 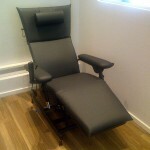 for reading. 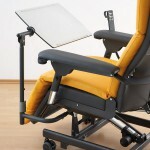 Higher flexibility and comfort the space-saving and easy to adjust table. The practical bag holder can be mounted to the armrest fast and easily. 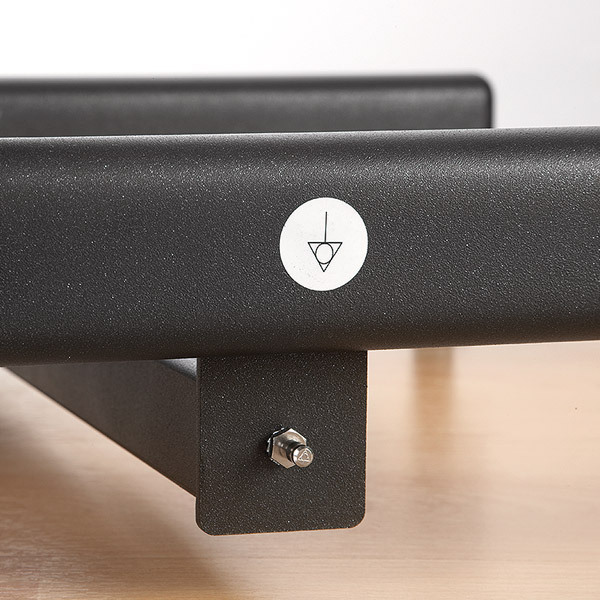 If desired the SlimLine can be equipped with an equipotential bonding. 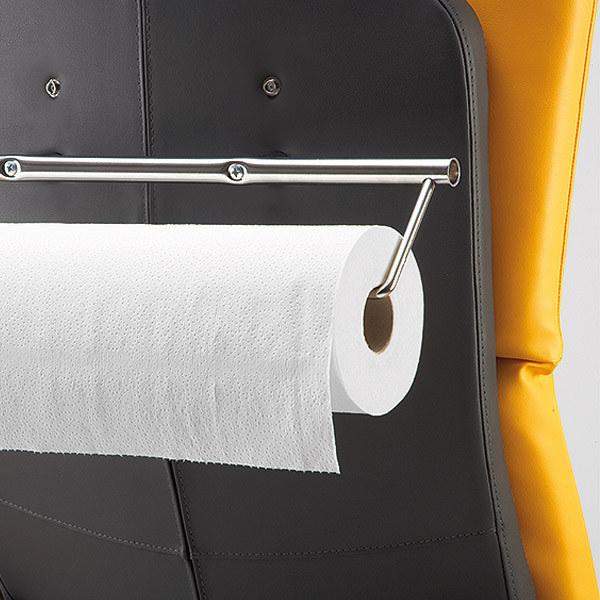 For higher hygiene demands a paper roll holder can be mounted easily. 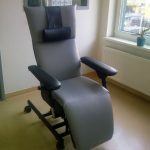 For continuous improvement of the Bionic Therapy Chairs we collect your input and implement innovations when possible. 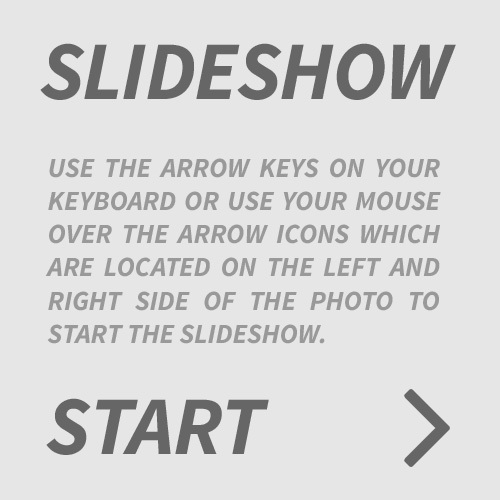 Your suggestions are welcome and we are open and integrate new ideas early into new development processes. 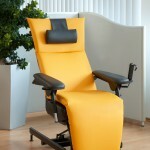 Please contact us, in order to find an innovative solution for your needs. 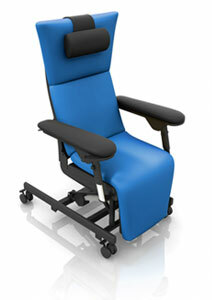 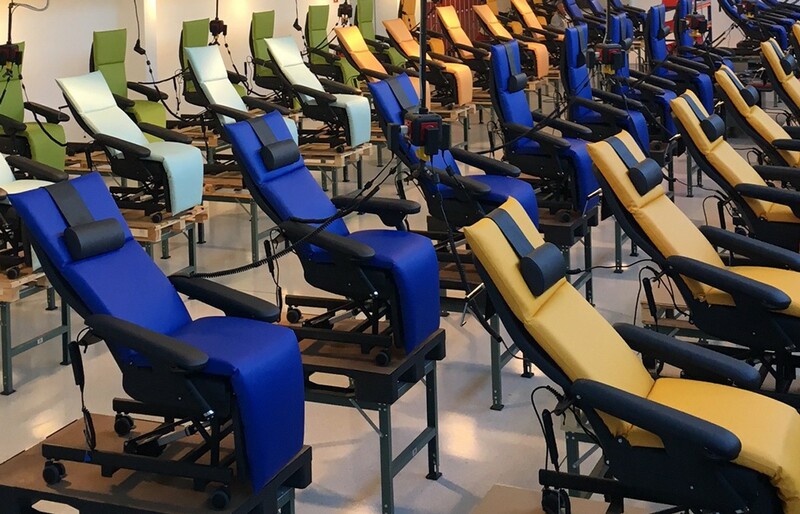 Experience the functionality and performance of Bionic Therapy Chairs. 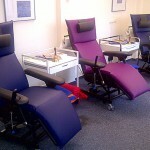 For product testing or technical training please contact your local distributor.